So who is Colette D’Alessandro? I work in sales as an Account Manager at Ping Identity. Three years ago I started working at our headquarter office in my hometown of Denver, Colorado. I have since moved to London to oversee the UK & Ireland territories. What is your role and responsibility in the WiD community? I am on the steering committee for Women in Identity alongside five other women. With my London co-chair Emma Lindley, the Senior Director at Visa, we are working to shape the London Chapter of WiD. Our immediate focus is to create quarterly meetups, networking opportunities and information sessions for members. At the same time, we are working to increase the participation of women across the EU by hosting sessions at conferences with relevant and content-driven speakers. What is Identity, and why is it important? Identity is at the core of everything we do. It encompasses who we are as people and our technological preferences. The role of Identity today is becoming increasingly important and everything that we do is connected. According to Gartner, 8.4 billion connected “things” are in use today, and all of these technologies have individual digital identities. Organisations must move faster to accurately match users with their preferences, all while providing the appropriate amount of security. On the flipside, consumers must think about the digital content they are creating that will be associated with who they are. This is why identity, specifically digital identity, is at the forefront of many technology conversations today. This is also why it’s important to have a diverse group of people, both men and women, having these discussions and integrating identity into our technologies. Why is the contribution of women in the Identity space in need of specific recognition, as you guys are trying to do? There are so many women working in Identity who deserve recognition for their amazing work, and that is something we hope to highlight through WiD. This visibility, though, is only one of the many exciting objectives we have as an organization. It’s no secret that there are far fewer women than men in technology, despite growing research indicating that companies perform better with a diverse workforce. In a recent report by McKinsey & Company, companies in the top 25th percentile for gender diversity on their executive team were 15% more likely to experience above average profits. Also, when it comes to building new technologies, it’s important to have a diverse workforce creating it. For example, in the artificial intelligence field, where the majority of coders are men, gender and racial bias creates potential blind spots in the building process of new and interconnected technologies. A diverse pool of professionals working in Identity is important to avoid these same biases and to develop and promote technologies that reflect the needs of the wide range of customers there are. Can you identify interesting women and their work in this space? Pamela is a well-known contributor in the identity management world. With over 10 years of experience focused on implementation and system architecture, Pam provides strategic direction in web access management solutions, provisioning and federation services. To find out more about Pam, follow her blog here. Sarah founded Counterpoint, a member of the Open Identity Exchange, in 2003 to help organisations become digital and innovative. She co-founded one of the first community email and blog environments on the web in 1994. Her knowledge in digital spans identity, data protection, GDPR, security, design, AI, cognitive, artificial reality and social media technologies. Learn more about Counterpoint here. Emma started out in the identity space in 2003 with GBG plc, as part of the team that developed and took to market ID3 (then called URU). Emma held a number of senior roles at GBG plc, one of which was leading the development of the ID3 service globally. In 2012 she founded Innovate Identity, and with her pragmatic approach independently advised many global brands, enabling them to understand how to put identity at the heart of their digital transformation strategies. Kriti is an Artificial Intelligence technologist and a leading global voice on AI ethics and its impact on society. In addition to advising global businesses on AI, she focuses on AI for Social Good. She built her first robot at the age of 15 in India and has been building AI technologies to solve global issues ranging from productivity to education to domestic violence ever since. Kriti was recently named in the Forbes 30 Under 30 list for advancements in AI and was included in the Recode 100 list of key influencers in technology in 2017 alongside Elon Musk, Jeff Bezos and Mark Zuckerberg. To learn more about other women doing exciting work in the Identity industry, check out their profiles on our website. If a reader wanted to find out more about WiD, where would they go? Please visit our website at www.womeninidentity.org and fill our web form, or email us directly at steering@womeninidentity.org. We also have a LinkedIn Group that we encourage all women and men interested in our work to join. To keep up with our latest announcements and activities, find us on Twitter @WomeninID. Summing up, what is the main message you’d want to give about Women in Identity to delegates of our upcoming conference on Think Digital Identity in Government 2018? Highlight the efforts and accomplishments of the many talented women working in the industry. For women and men in all areas of the industry, including within the Government, we invite you to join us! 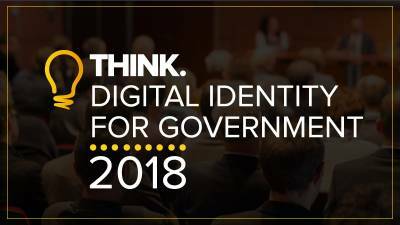 Think Digital Identity for Government 2018 opens its doors on Friday week (May 18th) – go here to join in the conversation.